When our taxi dropped us off on the sidewalk down a narrow road in busy Budapest, we were not sure we had the right place. There was a large beautiful wooden door and a small sign; it was like a private residence. I rang the doorbell and magically the door opened. I entered and asked if we had the right place and immediately the staff member asked if they could help us with our bags and courteously ushered us into the reception area. The small reception desk and charming surroundings made us feel immediately welcome and relaxed. The reception staff member was so friendly and provided us all the information we needed, plus a spot-on recommendation for a Hungarian restaurant to visit that night. We went up to our room on the second floor and our bags had already been delivered before us - very convenient. The first thing I noticed about the room was the luscious high ceiling giving the apartment a grand and luxurious feel. Next is the sheer amount of space. 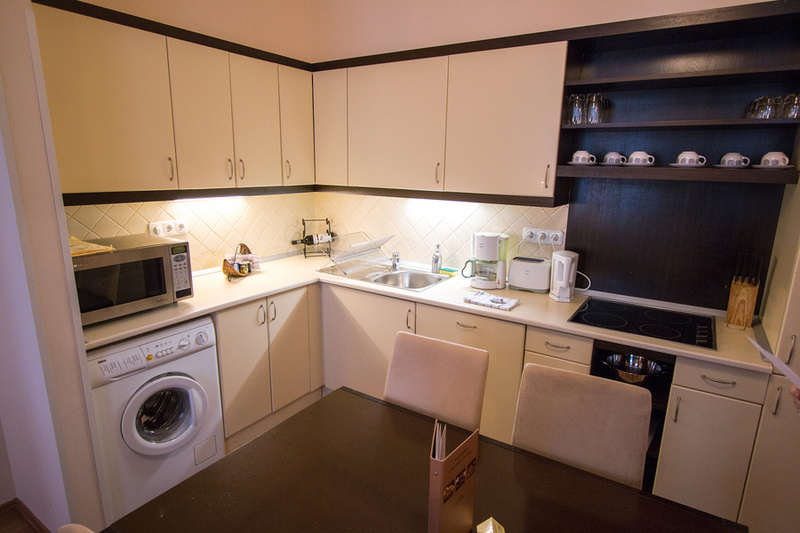 We were in the middle of Budapest and we were greeted with a spacious dining/kitchen/living area complete with flat screen TVs, stereo system, microwave, fridge, electronic dishwasher and washing machine. Each side of the living area opened into a bedroom with a big king size bed, which was an absolute delight to sleep in, and a spacious matching ensuite. And little things that made the place feel more like an upscale home such as wardrobes with built-in lighting, ornate decorative wooden shelves, modern suede furniture and my favourite, black-out curtains. Yay! No late-night summer light keeping the kids awake or waking them up early in the mornings. The Wi-Fi was password protected, but free. The only annoyance is that when my devices turned off (went to sleep) it logged me out and I had to log back in. But other than that, the speed was good, but more importantly it was consistent with no downtime during our whole stay. All this is all great, of course, but what really makes the Residence Izabella stand out was the laundry room. Not only was there a washing machine in the apartment, but also on the basement level contained a dedicated laundry room with free use of washing machines and dryers, even laundry baskets! After a couple weeks of hotel hopping with no access to a washing machine, I had a great need for this and it became a lifesaver for me. It’s funny the things you crave when travelling the world. 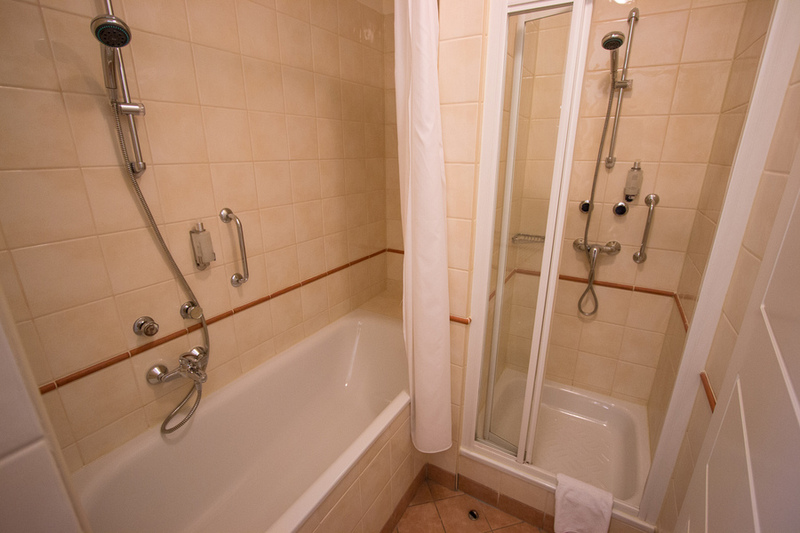 Situated next to the laundry was a sauna and gym facilities as well. At one stage we couldn’t work our washing machine and one phonecall to reception had them up in our room working out the problem in literally one minute. Really, I could not find any fault with the hotel, maybe except my pillow was ever so slightly flat, which is really not something I’d complain about. A few minutes walk from the hotel was the metro station to take us anywhere in Budapest we needed to go. Across the street was a mini mart and a few blocks further, a larger supermarket called Prime. A corner in the lobby area was set aside for toys, which our kids loved. And a small garden area provided a space for a quiet breather. 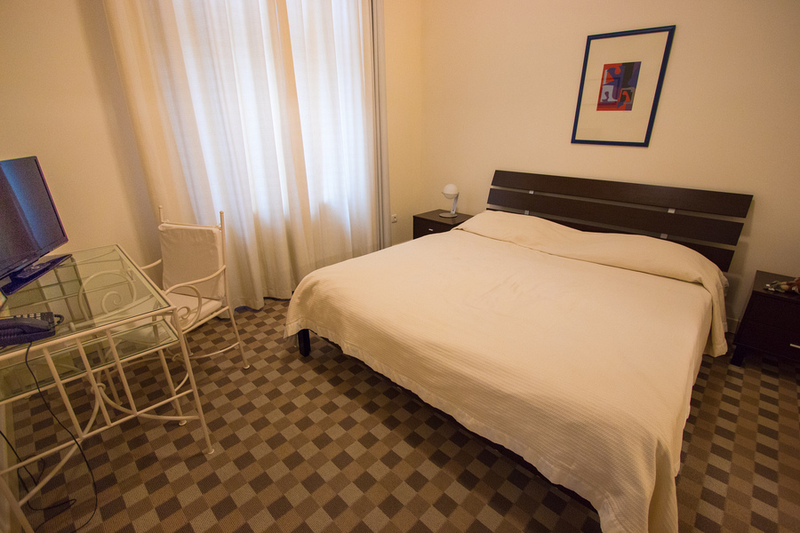 The windows were double glazed so we never heard any noise from the busy nearby Andrassy Ave and slept peacefully each night. The kitchen was fully equipped, so we enjoyed breakfast in our apartment. They do have a breakfast option for €12 per person, with kids free. While there was no restaurant onsite they did provide a menu for Italian food, which could be be delivered from a nearby restaurant. Mamaison Residence Izabella was the perfect entry point for our stay in Budapest; I wish we could have stayed longer. 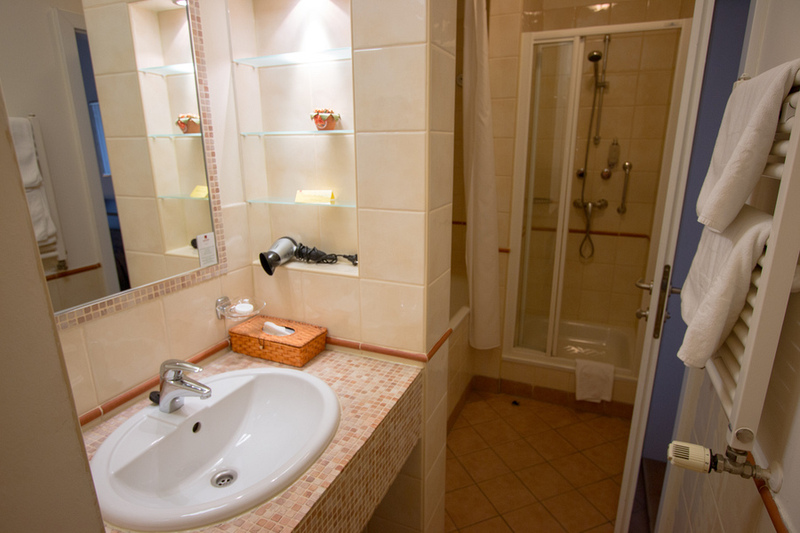 The staff were so friendly and knowledgeable about the area, the apartment was indulgent, and the location was perfect. An ideal combination. But for me the icing on the cake, and source of many happy dreams to come, was the laundry room. Ah, the sweet laundry room.